More than 750 million people in the world do not have access to clean water. Many people, mainly women and children, spend their whole lives carrying water 8-10 miles a day for their families and communities. The worse part is that this water is not clean. As a result, children cannot attend school, women cannot contribute to their communities in any other ways, and disease is rampant. This is a recipe for disaster and a downward spiral that only God can turn around. Starting May 17th, James Leitner will begin a journey backpacking across country to help raise money for the Philadelphia Serengeti Alliance. All donation will go towards repairing broken wells and training communities how to maintain them in the Mara Region of Tanzania. There are 307 broken wells in the Mara Region that all have good water quality. Now, we just need to fix them and train the communities to maintain the wells. 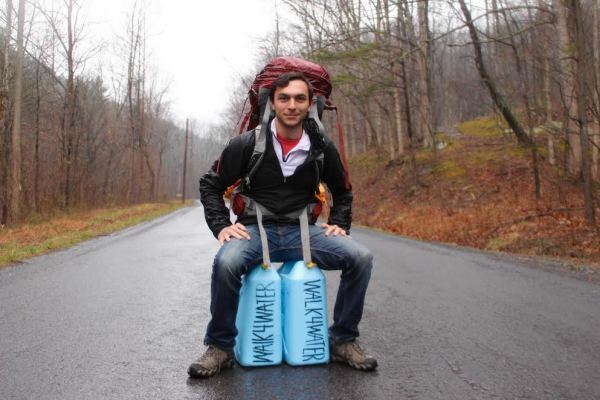 James will be using a cart to pull 10 gallons of water or 90lbs for the journey to symbolize the long walks of water women and children do every day to find water. There are also areas of the United States with water insecurity issues. The route was created to visit those areas. James will be volunteering with nonprofits in Flint, MI to learn more about the water quality issues and why many people live without clean drinking water in Flint, MI. If you are interested in joining James for part of the hike or might know somewhere he can stay the night, feel free to email us at, missioncleanwater@gmail.com. We are also looking for people to help with the website and reaching out to media and volunteers. Please email if interested! Please follow us on Facebook to get updates and if James is getting close to your location. All media should reach out through email or social media. 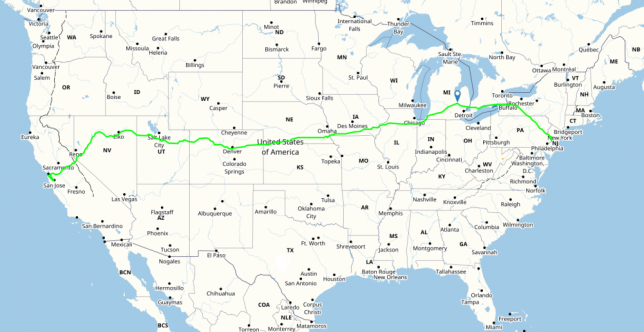 The route is designed to visit areas in the United States with water insecurity issues. The start is in Scotch Plains, NJ. From there the journey heads north to Canada eventually to Flint, MI. Then from Flint, he will head to Denver, CO. Once over the Rocky Mountains, James will work his way to the end point, the Golden Gate Bridge. The leave date is May 17, 2017 and James should be in San Francisco within 5-6 months. James will be here in Charlotte on Tuesday June 13th. 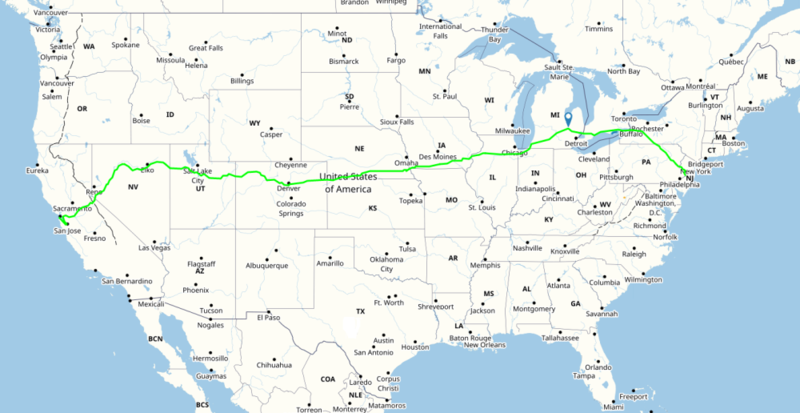 In total, it is 3,215 miles with the plan of doing 26.2 miles a day.